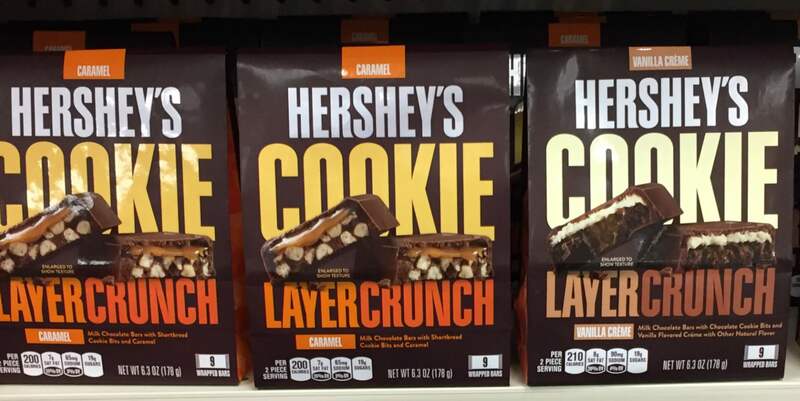 Hershey’s Cookie Layer Crunch Only $0.79 at CVS! Now THIS is a yummy deal you won’t want to miss! Now through 8/19, CVS has Hershey’s Cookie Layer Crunch 6.3 oz. bags on sale for only $3.79! Plus, there is a SWEET $2/1 CVS Instant Coupon printing for all ExtraCare customers this week (limit 1) at the ExtraCare Coupon Center in store! 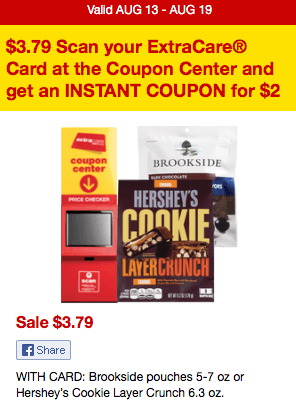 We have this $1/1 Hershey’s Cookie Layer Crunch (6.3oz) coupon from the 8/6 Smart Source insert available. You can treat yourself to these for only $0.79 after stacked offers! Don’t forget to check your CVS app and scan your ExtraCare Card at the Coupon Center in store…..you never know what surprises you’ll find there! Lunch Box Deal! $0.88 Ritz Cracker Filled Sandwiches at Target!